The Alumni Association will present an evening of stand-up comedy from a group of entertainers with one thing in common: service to their country. 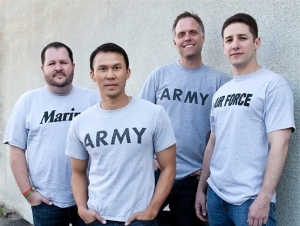 Formed by alumnus and former U.S. Army staff sergeant Thom Tran, ‘04, the GIs of Comedy will perform Friday, November 16, at 8:00 p.m. at the Forvm in Amherst. The group will also make two special on-campus appearances on Tuesday, November 13: an on-air segment on campus radio station WBNY-FM 91.3 from noon to 1:00 p.m. and a meet and greet in E. H. Butler Library 210 from 1:00 to 2:00 p.m.
Tran, who hails from Cheektowaga, New York, graduated with a bachelor of arts in broadcasting from Buffalo State in 2004. 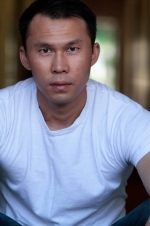 An internationally touring stand-up comedian, writer, producer, and recipient of the 2012 Young Alumnus Achievement Award, Tran served for eight years in the U.S. Army. In 2005, he was wounded in combat during a yearlong tour in Iraq, and has said comedy helped him deal with post-combat trauma and post-traumatic stress disorder. In 2008, Tran moved to L.A. where he has appeared on television shows such as CSI: NY and Deadliest Warrior, as well as in many TV commercials. He also has had the unusual opportunity of serving as a model for opposing forces in the popular video game Call of Duty: Black Ops. Tran was twice named the USO’s “Funniest Service Member” and has traveled to Iraq to perform for U.S. troops, playing at more than two dozen bases and combat outposts. The GIs of Comedy—Tran, along with fellow veterans Jose Sarduy, Tom Irwin, and Will C.—are currently on a tour that takes in both clubs and military bases, reflecting the comics’ backgrounds. The Alumni Association has reserved a block of tickets for alumni and guests for the group's Forvm appearance. Tickets are $10 per person and include V.I.P. seating. 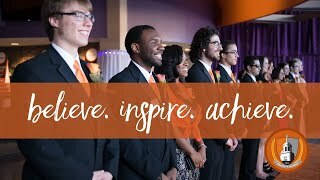 Doors open at 7:30 p.m., and the performance begins at 8:00 p.m. Tickets are available online or by contacting the Alumni Association at (716) 878-6001 or alumni@buffalostate.edu.